Poor Philippe. The family vineyards are in a sad state of affairs and he must head back home to take care of them. It is not a simple thing that is asked of him though and he knows exactly what is needed to restore them to their former glory which is nothing less than a blood sacrifice. To say it perturbs him is true, for that blood sacrifice must come from a male member of the family and that means either him or his young son, and of course, he would prefer it to be himself if anyone. Yet, circumstances start to play against him as his wife Catherine disobeys his wishes and follows him back home, not knowing what is in store. He might be having a hard time with all of it, but she will have a harder one as she simply does not grasp what is needed and when it comes right down to it, she might be powerless to stop what is going on. 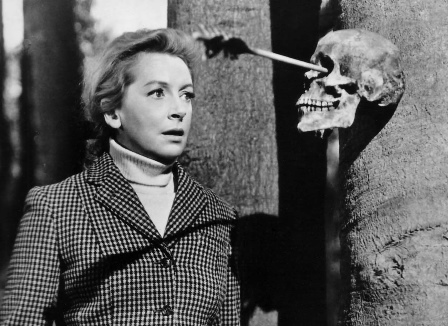 Eye of the Devil is an excellent little chiller directed by J. Lee Thompson that re-teams Deborah Kerr and David Niven once again as a family with a strange past rooted in folklore and witchcraft. It is a moody and atmospheric film, photographed exquisitely in black and white by Erwin Hillier and it is the one thing you notice above all others while watching it. From lush, countryside vistas to the caverns of the family home, the film is crisp and clean, accentuating and lending to the horror presented within. Though the performances are great and the music by Gary McFarland compliments the picture perfectly, it is the cinematography that really takes your breath away more than anything. Kerr takes center stage in the film more than anyone, being a woman who loves her husband and her family and one who would do anything for them. She follows Phillipe out to the vineyards because she senses that something is wrong, but he tries to placate her and fails somewhat miserably at it. 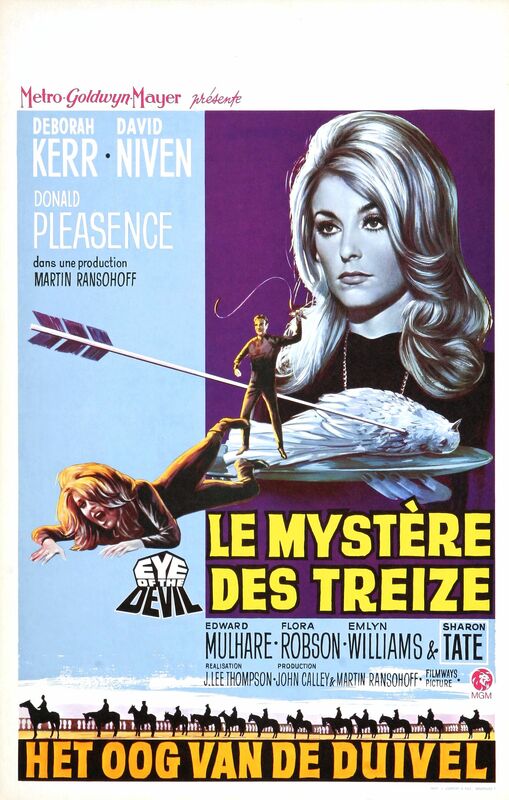 Part of it is due to Odile and her brother Christian, who together are a spooky young pair as played by the stunning Sharon Tate and an equally handsome David Hemmings. Odile plays at magic and hypnosis and Christian walks around with his bow and arrow shooting at things and if living in a gigantic house where it feels as if you were not welcome is not bad enough; having these two siblings around makes it even creepier. Kerr does give a strong performance, much like we have seen from her before. She has always been good at hysterics and crying and she brings it out in full force here on more than one occasion. There are times within the film though, when you wonder why she does not simply grab up the kids and take off back to the city. She knows that something is wrong, especially when she gets locked up or when her kids are put in harm’s way, and yet she remains. The love she has for her husband is strong, but there comes a breaking point and even after reaching it, she refuses to leave. If there was a weak spot in the story, that was at least part of it. David Niven puts in his usual effortless performance as Philippe. Whenever Niven is on screen, no matter the movie, he makes acting look easy, as if anyone could do it. 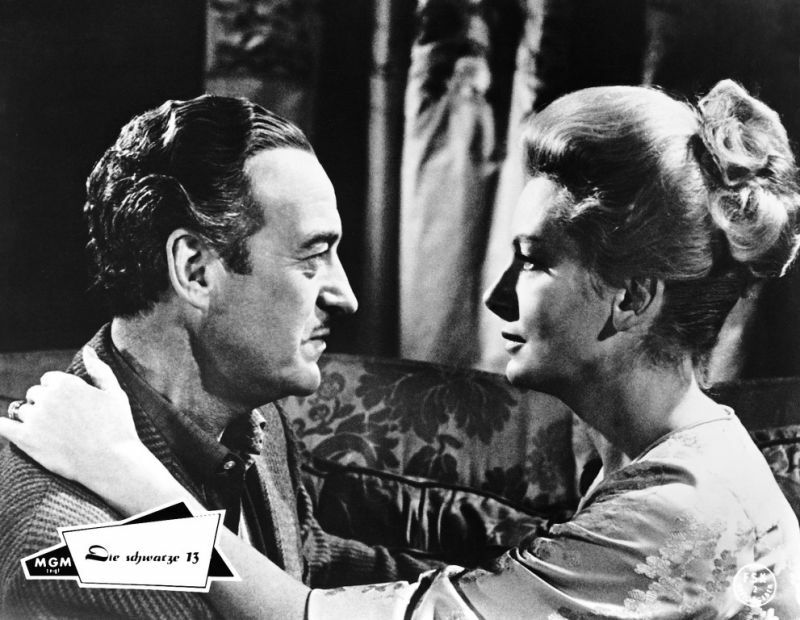 Niven is also at his best when he plays the vulnerable character, such as in this film. You always empathize with the man as he is so likeable, and unlike Kerr, whose character in this film you should feel bad for, it is Niven’s who really draws you in. Tate and Hemmings deliver solidly, bringing in that quiet dread that the film needs as does Donald Pleasence as Pere Dominic, a priest who believes in more than just God. Flora Robson, John Le Mesurier, Emlyn Williams and Edward Mulhare firm up the cast and which was already very strong and if there was an actor or actress poorer than another, it would be hard to choose so. While Kerr and Niven might be the headliners of the film, it is Tate who steals it overall, not so much with her performance which was really quite good, but by simply being there. She was always known for her beauty and it is on full display here, but if life and circumstances were different, perhaps her presence would not have been as big a deal. Such as it is, the film is more memorable for her being in it than anything else. A lot of times in life, the scariest things are those that we do not understand. That was surely the case here with Catherine and the rituals performed by the townsfolk. To be fair to her, the scary albino children, the witchcraft, the imprisonment, the intimidating priest, the standoffish family and the blood sacrifices also played a part in turning this little drama into so much more. 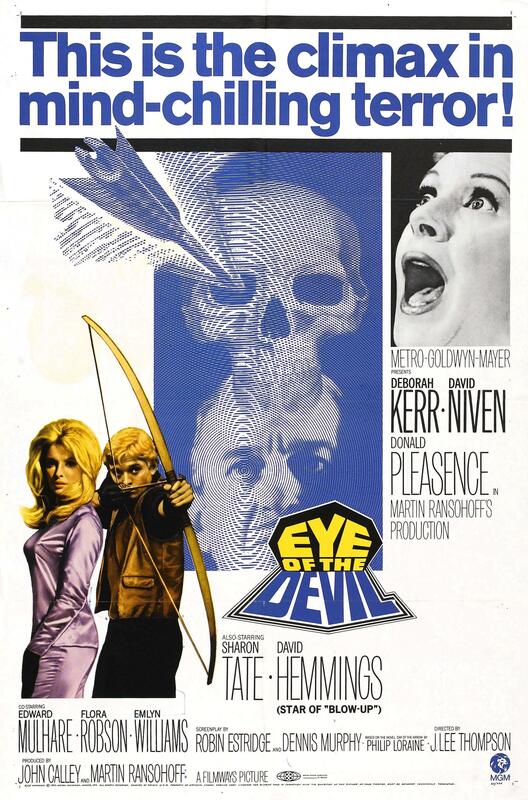 The movie could have been tightened up here and there, just a little, which would have cut the running time down, but as it was, Eye of the Devil is a solid horror-thriller that is both engrossing and entertaining. Worth your time if you like classic British horror.